It’s really awesome to find new and exciting ways to practice yoga. One new discovery I made recently is AntiGravity Yoga. AntiGravity or Aerial Yoga was established in 1991 by Christopher Harrison, a former gymnast, and Broadway aerial choreographer. 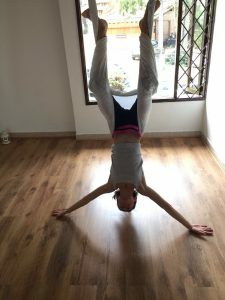 It involves a series of techniques inspired by yoga, Pilates, calisthenics and aerial acrobatics in a hammock, in order to achieve a whole-body workout. Christopher Harrison created what he called the “silk hammock” and discovered that the use of this hammock had health and fitness benefits for everyone. So he created “AntiGravity™ Yoga & Fitness”. His techniques are now available in gyms and studios around the world. 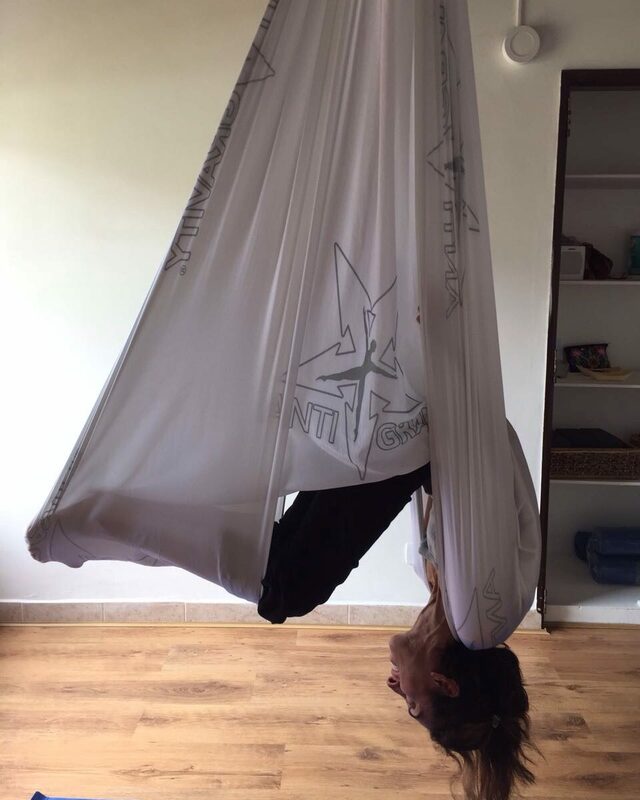 So, what sets Antigravity Yoga apart from other types of yoga done on the ground? For starters, you don’t have to have previous yoga experience. 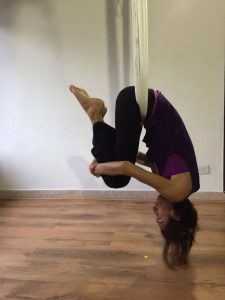 While it is an advantage to have experience with other types of yoga, it’s not a requirement in order to practice Antigravity Yoga. As you begin to learn this form of yoga, you will be instructed on its foundations. Want to improve your core strength? Antigravity Yoga definitely will help you with this. You are off the ground, so it gets you engaging your core right away. Also, those headstands or handstands that are so hard to master for some will actually become easier after you are able to experience how they feel with the support of the hammock. Overall, Antigravity Yoga will boost your confidence in some of the more challenging poses you do on your mat – such as the inversions. Antigravity Yoga is also very easy on the joints making it a great workout for people with knee problems. It also provides strength-building benefits according to some students of aerial yoga. It increases muscle mass and decreases fat mass. It can be a very cardio-intensive form of yoga which can be comparable to power walking. However, it does also provide a relaxing and stress-free experience as with many activities that involve whole body-mind exercises. At the end of my Antigravity yoga classes, I get to lie down in Savasana, cocooned in the silk hammock as my teacher gently swings the hammock side to side. Then, there is the thrill of it! It’s so much fun to play acrobat for an hour and be able to do all these acrobatic tricks I wouldn’t try without the help of something suspending me off the ground. I look forward to my next class every week! If you have tried Anti Gravity or Aerial Yoga, let me know what you thought or just leave any comments or questions you might have.